Gorgeous mini dress in wonderful positive summer colors. 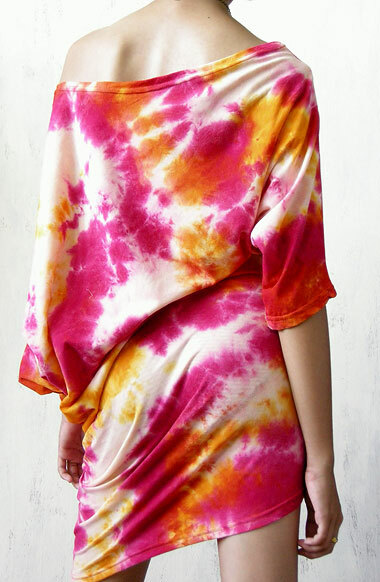 Tie-dyed by hand and therefore unique. Color: pink, orange, multicolor. This dress is definitively an eye-catcher! Washing: handwash only, cold water, separated, don't bleach.